After eating food from mouth it enters stomach via oesophagus, and as food enters stomach the lower oesophageal sphincter get contracted so as to prevent reflux of food into oesophagus. 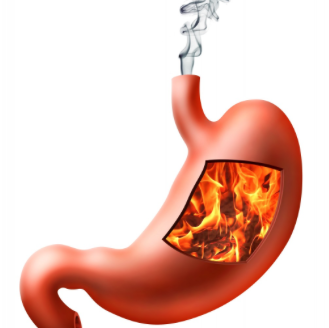 Gerd is a condition in which the lower oesophageal sphincter fail to close and due to its non functioning food reenter the oesophagus, resulting in irritation of food pipe. • Pain in Chest: Chest pain is usually worse after eating food and it can last for few hours. Acidic foods, eg oranges and tomatoes. Vegetables eg cabbage, cauliflower, broccoli, spinach. As per Dr.Abhishek GERD cannot be solved without lifestyle changes, Homeopathy medicine along with certain lifestyle changes can do wonders.There are more that 124 homeopathy remedies which can give great relief in gastroesophageal reflux disease also known by the name of acidity or acid reflux. Aura Homeopathy is strongly recommended for GERD. Homeopathy treatment reduce the frequency of reflux, relief the symptoms of GERD and also prevent further damage to oesophagus and stomach mucus membrane. Homeopathic medicine helps to increase immunity. Result of homeopathy in GERD is quick and fast. Homeopathy medicine are totally safe with no side effect. Homeopathy treatment can be taken with allopathic medicine as well.